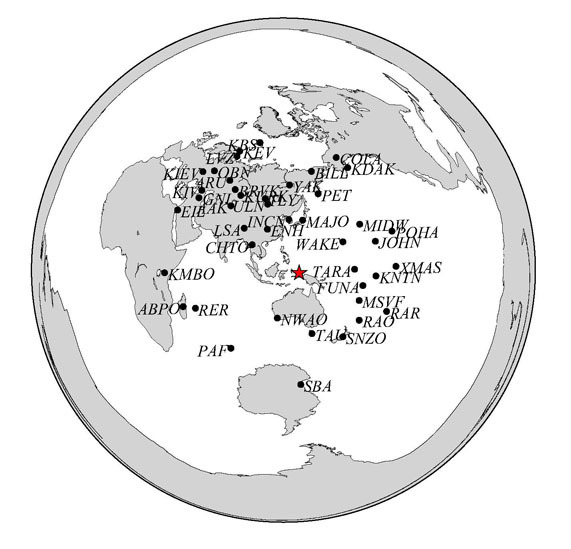 An earthquake doublet occurred on January 03, 2009 (UT) near the northern coast of Papua (Irian Jaya), Indonesia. 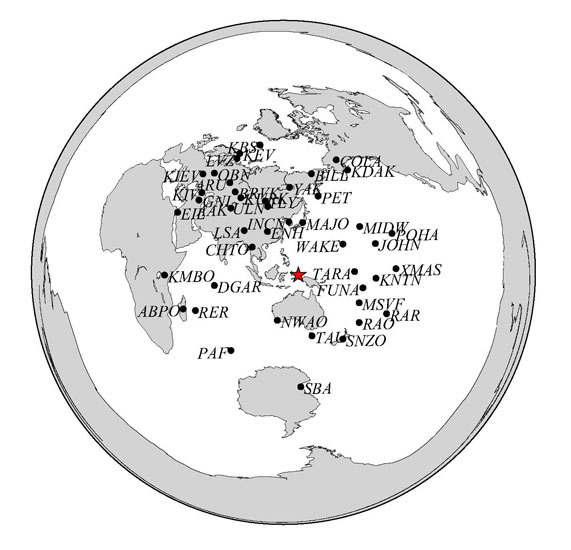 The eastern area of the source region is famous for frequent occurrence of earthquake doublets due to the complex tectonic settings (e.g. Lay and Kanamori, 1980; Park and Mori, 2007). 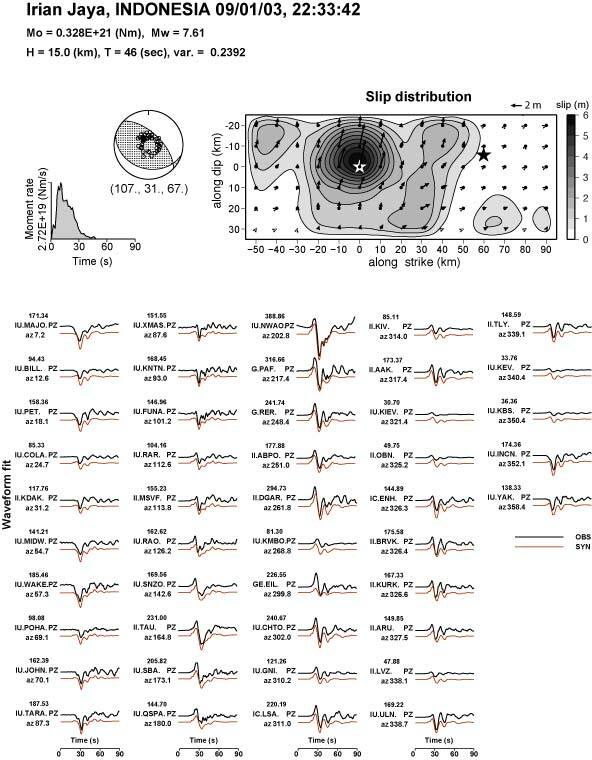 To investigate source processes of the earthquakes, we have performed teleseismic waveform inversions of Kikuchi and Kanamori (1991) using displacement records observed at stations of FDSN from IRIS DMC. We fixed the epicenters determined by USGS and searched the focal depths to minimize the waveform fit. The residuals of the finite fault inversions preferred low-angle south-dipping fault planes for both the earthquakes. Significant slip exceeding 5 m appears near the each hypocenter, and the slip distribution of the earthquake doublet seems to be complementary. 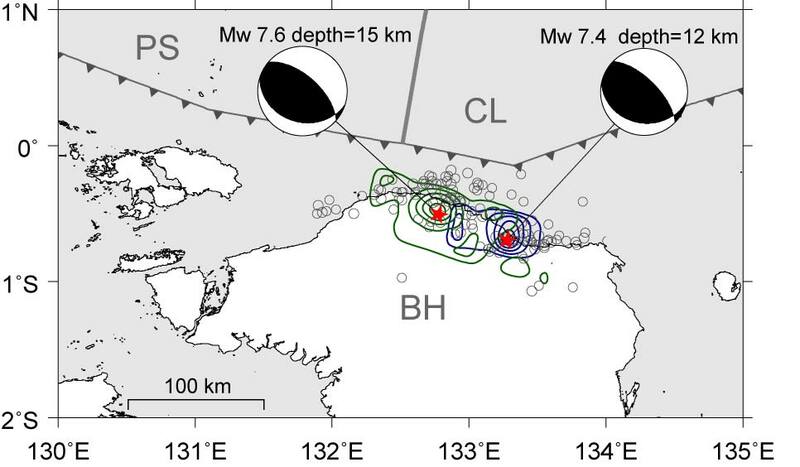 Note that the rupture starting point of the 2nd event is close to the edge of the slip distribution of the 1st event.